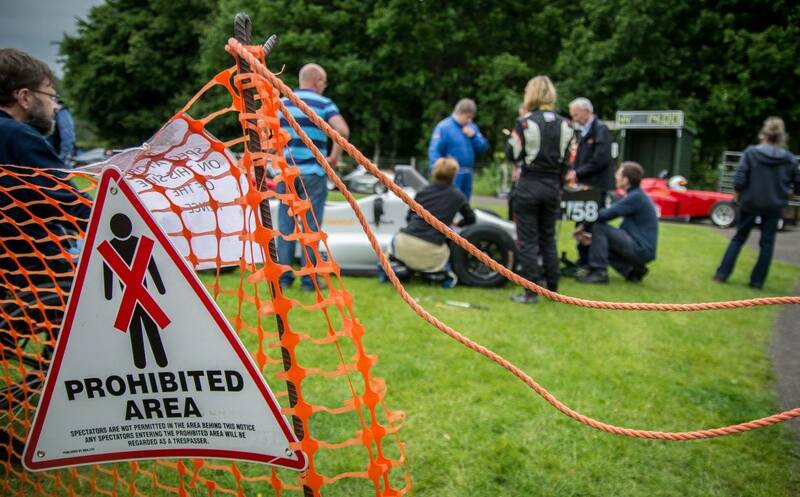 Tomorrow marks the official start of the Hillclimb Season in Scotland. The setting for the season opener is Doune Hillclimb, or known to most that conquer it, as “King of the Hills”. However, is it really King of the Hills? Of the three hillclimbs on the Scottish Hillclimb calender Doune stands outright as probably the most dangerous hillclimb. 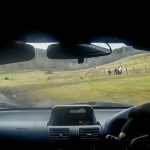 Although Fintry Hillclimb is short it does have high speeds, but none that match up to the ludicrous speeds achievable at Doune. Forrestburn Hillclimb has more corners, and in my opinion is a lot more technical than Doune. However, the sheer sensation of speed the narrow 12ft track gives, enclosed in a canopy of green and brown, is just incredible. At Forrestburn, if you make a small mistake you can usually recover and there are enough corners to make that time back, but at Doune, the slightest miscalulcation can see you sling-shotted into the trees or even jammed sideways between the barriers. For me, the real reason Doune is “King of the Hills” is that it encapulates everything that a Hillclimb should be. A race from the bottom of a hill to the top of a hill. The fastest time wins. If you muck up your start by half a second, it’s cost you 2 seconds by the time you get to the top of the hill. That’s why the challenge will always exist to go faster each time you go up. Until you’ve literally scared yourself to death on one run, look back at the in-car footage and say to yourself you lifted too early there, or you could’ve braked later at that point. This weekends field of competitors is packed full of different cars. From classic MGs, to 6 figure single seaters capable of more than 200mph, for me the most interesting class will be Class A9 which is solely for Mx5 owners. Governed by a gentlemans agreement to keep things mostly standard, the gap between all these competitors, not all male I might add, is extremely close. So usually the winner is the one with the best skill or the biggest balls. I really do mean the biggest balls, as unlike the single seaters or anything with a turbo, you can literally go flat out all the way round oak tree to garden gate before lifting to head up to junction. So with that in mind I’ll be trying my hardest all weekend to keep her lit and aim for a new PB and hopefully a sub 50 second run! P.S – New MAF sensor installed and running sweet at 7psi of boost!